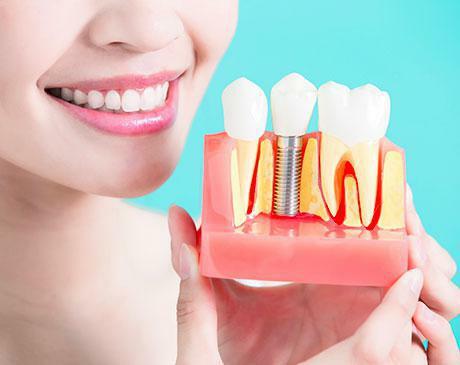 If you’re missing teeth, dental implants can be the best replacement to fix your smile. Board-certified dentist Mehrack Kajian-Faraji, DDS, and the expert team at La Jolla Dental Group conveniently offer dental implant surgery right in their La Jolla, California office. To learn more about permanent tooth replacement with dental implants, call or book an appointment online. 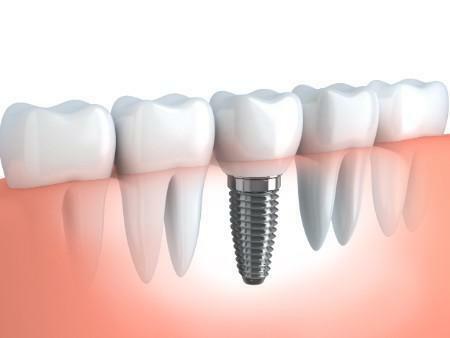 Dental implants consist of two parts: a titanium metal post that gets surgically attached to your jawbone, and a crown mounted on top that resembles your natural teeth. Implants are even stronger than natural teeth and offer the only permanent replacement for missing teeth. With over 12 years of experience, Dr. Kajian-Faraji and her team have had a 100% success rate with dental implants. For your convenience, they offer in-office dental implant surgery at La Jolla Dental, so you don’t have to worry about scheduling various appointments at different locations. The space left by teeth that have been lost or removed can lead to serious oral health problems, like teeth shifting and jaw bone deterioration. Implants can also provide support for a dental bridge. The titanium posts naturally fuse with your bone, making dental implants strong and secure. This is a great option if you don’t have healthy neighboring teeth to anchor a bridge. Unlike bridges or dentures, dental implants are permanently positioned in your mouth. You don’t have to worry about taking implants out to clean, although you should continue to brush and floss them along with your natural teeth. What should I expect from a dental implant procedure? Before the actual procedure, Dr. Kajian-Faraji or a member of her team perform a comprehensive exam to determine whether dental implants are right for you. The actual process occurs in two steps. First, they surgically implant the titanium rod into your jawbone and below the gumline. Dr. Kajian-Faraji discusses the best sedation options for you before the procedure. After your jaw and gums heal, you return to have a crown placed on top. Dr. Kajian-Faraji and her team design dental crowns to blend right in with your naturally beautiful smile. To find out if dental implants are right for you, call or book an appointment online today.